On the pre-dawn hours of 2 August exactly a month ago, a whole mountainside swept down on the village of Jure, burying at least 156 people (almost a third of them children) under tons of rock and rubble. The entire side of the hill on the western bank of the Sunkosi between Mankha and Ramche VDCs fell off at 3 AM that morning, disappearing the old village on the slope as well as the settlement along the Arniko Highway further down. A government secondary school was wiped out. On the edges of the landslide one can observe only the devastation’s periphery, because most of the people, livestock, houses and highway lie deep underneath. 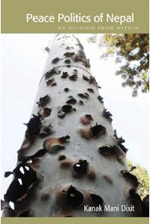 On 30 August, in the company of Ani Choying Drolma, we visited the dammed up Sunkosi area where Jure village used to be. 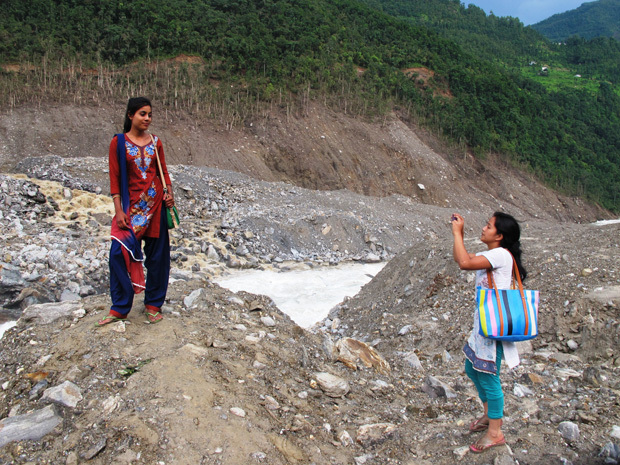 It was a numbing experience, to understand the scale of the landslip and the tragedy it brought the sleeping inhabitants of the village and roadside settlement. We present here some photographs of the site of the ‘mountain-slide’. The landslide is about a km long and nearly as high. 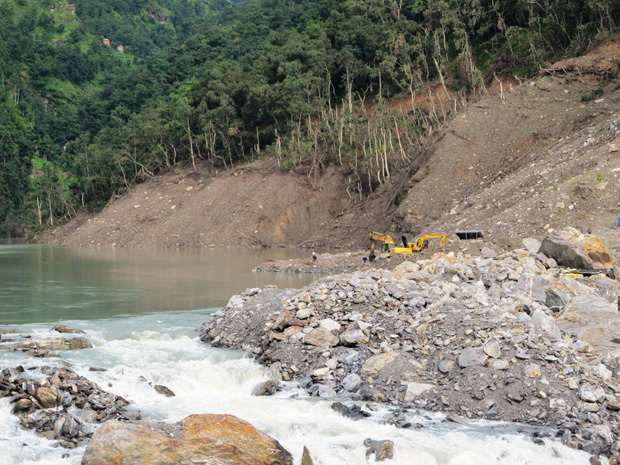 It buried both settlements and a stretch of Arniko Highway, blocked the Bhote Kosi, and created a lake stretching 3 km upstream. 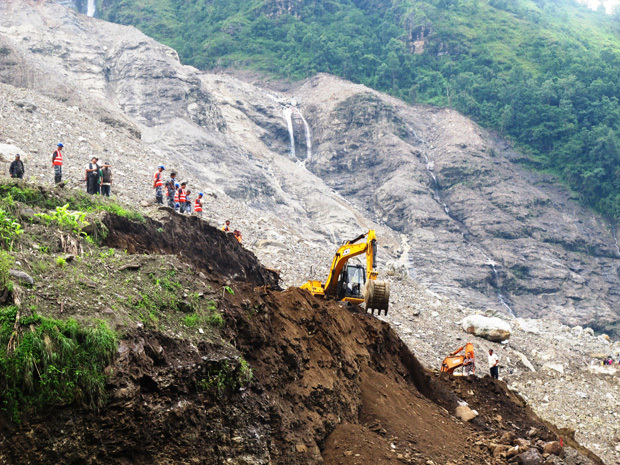 The excavator is part of the effort by those involved in the Nepal-China trade working with the Roads Department to cut a dangerous track across the landslide so that goods and passenger traffic can resume. The Nepal Army is building a longer track across the river. 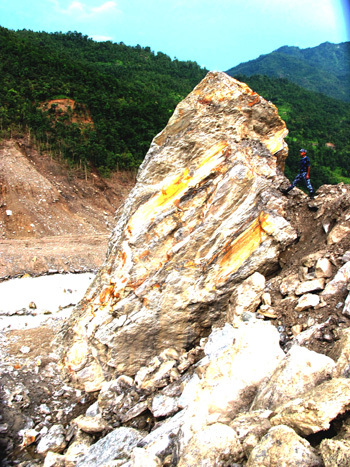 Gigantic rocks have come down from the mountain, the scale of which can be judged against the policeman at right. 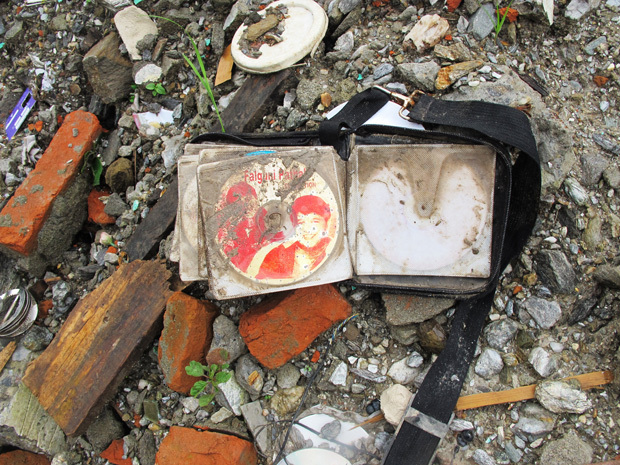 On the edges of the landslide, where some of the concrete houses are still standing, this orphaned CD collection has its leaf turned to Falguni Pathak. 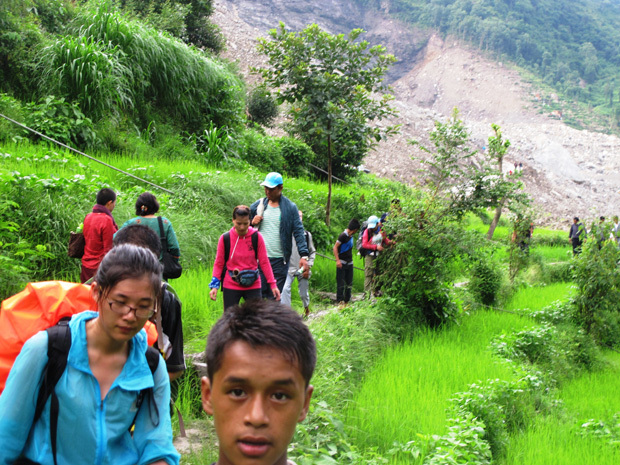 Chinese tourists are brought across the landslide area by porters/guides who are arranged by a network of ‘facilitators’ that has quickly come up. Indian pilgrims headed for Kailas-Manasarover traverse the other way. The new Bhote Kosi lake and rapids have become a tourist attraction. 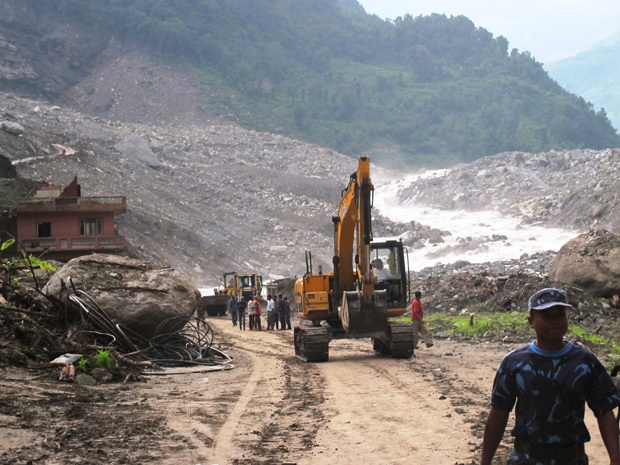 A team of Nepal Army engineers has been working to develop an alternative channel and reduce the lake level. They use dynamite and excavators, one of them seen at the far side. The level of the lake is said to be steadily decreasing. It is the end of the workday, police/army personnel and civilians working at the disaster site head out. The boulders on either side were deposited here on the night of 2 August. Turning the bend on the road and arriving at the disaster site. A 360 degree view of the Sunkosi rapids, rock dam, landslide slope and surrounding hillsides.